Carcinogens are substances or factors that can cause cancer. They may work in a few ways, both directly, and indirectly by starting a process (such as inflammation) that could lead to cancer. Examples can include chemicals, medical or environmental radiation, some viruses, lifestyle factors, and even some medications. Carcinogens are classified in a number of different ways as to the likelihood that they truly cause cancer, and whether this is known or only suspected. While testing for carcinogenicity has been done for a number of substances, the process of testing is expensive and limited by the latency period (the amount of time between exposure and development of cancer). Knowing this, and that we are all exposed to potential (but not yet tested) carcinogens daily, how can you protect yourself and lower your risk of exposure? A carcinogen is defined as something that can directly cause cancer. This can be a chemical substance, a virus, or even the medications and radiation we use to treat cancer. While many cancers are caused by a carcinogen or combination of carcinogens, the tendency (genetic predisposition) to develop cancer may also be inherited as part of our genome. A carcinogen may directly damage the DNA in cells (cause mutations), which in turn leads to a disruption in the normal process of growth and cell division of cells. The carcinogen may instead cause damage and inflammation which results in the cells dividing more rapidly. When cells divide there is always a chance that a change will occur (a mutation) which in turn increases the chance of developing a cancer. It's important to note that cancer is most often caused by an accumulation of mutations, rather than a single insult, and for this reason, a number of factors may work together to either increase or decrease the risk of developing cancer. Even when damage to DNA (mutations) occur, our bodies produce proteins (coded for by tumor suppressor genes) that can either repair damaged DNA or eliminate damaged cells, before a normal cell is transformed into a cancer cell. We are around carcinogens every day, whether at work, at home, or at play. Carcinogens do not cause cancer in everyone who is exposed; the ability of a carcinogen to cause cancer depends on many factors, including the amount of exposure, the length of exposure, the health of the individual, and other factors in the person's life that either raise or lower the risk of cancer. People also differ in personal susceptibility to a carcinogen based on their genetic makeup. Chemicals/substances: Certain chemicals used the home or workplace may be carcinogenic. 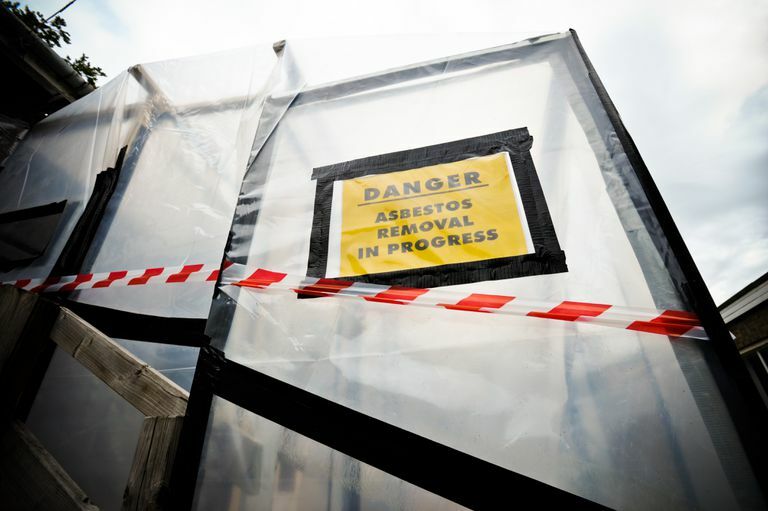 For example, asbestos in insulation can lead to lung cancer and mesothelioma. Many people have a sense that if a chemical could cause cancer it would not be allowed in our homes. That's not the case. Environmental radiation: Ultraviolet radiation from the sun is a well-known cause of skin cancer. Radon emitted from the normal decay of uranium in the soil and then trapped in homes is the second leading cause of lung cancer. Medical radiation: Both radiation used medically for diagnostic tests and that used to treat cancer are considered carcinogens. For example, women who receive radiation therapy after a mastectomy for breast cancer are at an increased risk of developing lung cancer due to the carcinogenicity of radiation. Viruses: Viruses such as human papillomaviruses which cause oral cancer and cervical cancer, and hepatitis C, which can cause liver cancer are considered carcinogens. Check out the other viruses which are thought to cause cancer. Some medications: Some chemotherapy drugs and hormonal therapy can raise the risk of cancer. For example, some of the chemotherapy drugs (such as Cytoxan) used to treat women with early stage breast cancer may sometimes lead to leukemia. Oral contraceptive use may increase the risk of breast cancer in young women. Lifestyle factors: Smoking and obesity are both carcinogens in that they can be responsible for the mutations which result in cancer. Pollution: Both outdoor and indoor air may contain pollutants that are carcinogenic. An important to understand is the concept of a latency period. The latency period is the time between exposure to a carcinogen and the time a cancer develops. The latency period can be very short, such as exposures to radiation in a nuclear disaster, or instead, many decades, depending upon the particular carcinogen. For substances with a long latency period, it may take several decades before they are recognized as being carcinogens. It is not always easy to determine if a substance or an exposure is a carcinogen. A good example of this is smoking. It took many years of research and millions of dollars to determine the relationship of smoking to lung cancer. Many studies to evaluate substances for carcinogenicity are done on animals using high exposures. Prior to animal testing, many of these substances are first looked at in cell cultures in a lab. While it would be unethical to test substances for carcinogenicity in humans, retrospective studies looking at people with cancer, and evaluating prior exposures, are used to analyze substances or exposures to evaluate the ability to cause cancer. Unfortunately, cell studies or animal studies cannot always tell us what will happen in human beings. What occurs with human cells in a dish in a lab may be very different than what happens given the same exposure amidst the millions of chemical reactions occurring all the time in people. Likewise, animal studies cannot always tell us what will happen with human exposure. This was the case with thalidomide, which was a safe medication in laboratory animals but caused birth defects when given to pregnant women. Keep in mind that not every substance that is a potential carcinogen has been tested. Read labels, and check out ingredients you are not familiar with. Some home products make a note that they contain human carcinogens. An example is some types of brass cleaner. Follow directions for safe handling of chemicals at home. Read the small print on containers. Some of these recommend wearing gloves. Others recommend good ventilation, wearing a mask, or even donning a special ventilation mask (if it says this, it means that a mask is not enough to protect you). We forget that many substances can be absorbed easily through the skin. We now have patches for everything from nicotine to pain medications that take advantage of this process. A good rule of thumb is that if you wouldn't eat it, use gloves to handle it. Follow recommended procedures when working with chemicals on the job. Employers are required to provide Material Safety Data Sheets on any chemicals you will be exposed to at work. Take the time to read these carefully. Consider alternatives to substances with long lists of ingredients: for example, some people have found that instead of having an abundance of commercial cleaning supplies (all with ingredients that may raise your eyebrow), you can effectively clean your home using only vinegar, lemon juice, olive oil, and baking soda. Not only does this reduce your exposure to potential carcinogens, but it's cheaper as well. Consider your options. For example, check out these ideas on how to grill food to reduce carcinogens. Purchase a few houseplants to clean your indoor air. Several types of houseplants (particularly peace lilies, ferns, and palms) have the ability to absorb carcinogens such as formaldehyde (in pressed wood products). Research done at NASA has even looked at the best houseplants to absorb each of several common carcinogens in our homes. There are several databases in which you can look up chemicals and substances you are exposed to in order to determine their carcinogenicity. We are exposed to carcinogens in our environment every day. While it's likely there are substances we will learn are carcinogenic in the future, we can take action today to lower our exposure. Having an awareness, and recognizing that there are likely carcinogens in our environment that haven't yet been identified is a great start. Taking some simple safety precautions, such as reading labels and wearing gloves may not always be necessary, but can be wise if you aren't familiar with a product you are working with. Centers for Disease Control and Prevention. Occupational Cancer. Carcinogen List. Updated 04/24/17. International Agency for Research on Cancer. IARC Monographs on the Evaluation of Carcinogenic Risks to Humans. Claudio, L. Planting Healthier Indoor Air. Environmental Health Perspectives. 2011. 119(10):a421-a426.